Richard Kibling Feindel, age 70, died on November 24, 2015 at Duke University Medical Center. He was the President of WWGP Broadcasting Corporation, which operates WWGP 1050 AM Country and WFJA Classic Hits 105.5 FM radio stations in Sanford, NC. Richard was born October 21, 1945 in Rock Hill, South Carolina to the late George Paul Feindel, Sr. and Ruth Kibling Feindel. In addition, he was predeceased by his sister, Nancy Bradford Feindel, and brother, George Paul Feindel, Jr., his loving Golden Retriever, Mr. Buddy, and the Ragdoll cat he rescued, Sassy. He is survived by his loving, devoted wife of 31 years, Susan Morrow Feindel, one son, Richard Kibling Feindel, Jr. of Brookline, Massachusetts, two daughters, Elizabeth Morrow Feindel of Raleigh, North Carolina, and Katherine Feindel Hoover and her husband, Stephen Lawrence Hoover, of Greenville, South Carolina along with four grandchildren, Marie Allison Hoover, Alexander Stephen Hoover, Camille Elizabeth Hoover and Zachary Richard Hoover, all of Greenville, South Carolina. He is also survived by his sister-in-law, Betty Jean Feindel, and nephew, George Paul Feindel, III of Rock Hill, South Carolina, brother-in-law, George Richard Morrow Jr. of Union Mills, North Carolina and sister-in-law, Maria Morrow Sutej of Atlanta, Georgia and two nieces, Emily Morrow Peninger of Savannah, Georgia and Mary Catherine Peninger of Athens, Georgia. In high school, he was a disc jockey for local radio station WTYC, where he worked after school and on weekends. 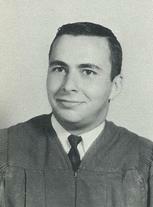 Richard was so fortunate to have been a member of his high school fraternity, Epsilon Kappa Phi. The fraternity held dances at the Rock Hill Armory on weekends and booked groups such as Maurice Williams and the Zodiacs, The Drifters, The Shirelles, and many other groups of the 1960s. This music was such an important part of Richard’s life and is still played on WFJA Classic Hits 105.5 today. He was so fortunate to have continued his friendship with these longtime friends until his death. Richard attended Emerson College in Boston, Massachusetts where he studied Radio and Television Broadcasting. His first job after college was in Sanford in 1968 at WWGP, where he planned to stay for only one year. He loved working for Frank J. “Bud” Abbott and decided to make Sanford home. He purchased WWGP 1050 Country and WFJA Classic Hits 105.5 in 1994 after Abbott’s death. Richard dedicated his career to helping local businesses succeed through local radio advertising. He provided hours of public service announcements on his two radio stations and participated in countless community events and fundraisers. He continues to run the stations in spirit today. In 2003, Richard received the Sanford Area Chamber of Commerce Small Business Person of the Year award. Soon after, he served as the Chairman of the Sanford Area Small Business Expo Lifetime Achievement Award Committee honoring notable North Carolinians including Charlie Daniels, Richard Petty, Maurice Williams, Phil Ford, Woody Durham, Governor Jim Hunt, Charlie Gaddy and Larry Stogner. Richard also served on the North Carolina Association of Broadcasters Board of Directors. He was a member of the Exchange Club of Sanford for many years and served as its President and received the Exchangite of the Year Award. He served on the City of Sanford Planning Board for 28 years, many of which he served as the Board Chairman. In an effort to make Sanford a more attractive place to live and work, Richard lobbied for ordinances requiring curbs, gutters and sidewalks in the community. Richard helped develop the NC Child Alert Notification System, a precursor to the nationwide Amber Alert system. WWGP and WFJA were the first radio stations in the state to implement NC-CAN for quick location of abducted children. He advocated for our citizens to ‘Shop Sanford and Lee County First,’ donating blocks of air time to the Sanford Area Chamber of Commerce. Richard helped natural disasters victims and first responders by organizing many relief efforts. He coordinated efforts to send supplies to Charleston, SC after Hurricane Hugo. Later, when a deadly tornado struck Sanford, FL, he set up the ‘Sanford to Sanford’ tornado relief effort to help the sister city. When Hurricane Floyd devastated eastern North Carolina, he was instrumental in organizing relief efforts providing non-perishable items and bottled water for disaster victims and first responders. 12 tractor trailer loads of relief supplies from Sanford were shipped to those in need. He helped coordinate an effort to collect and send supplies to our troops in Iraq. After the September 11thterrorist attacks, his stations played the National Anthem twice daily at 8am and 6pm to remind us all of the cost of our freedom and just how precious it is. It is now played at noon every day. He worked hard to improve the quality of life of those in need in Sanford. He once donned a chicken suit and allowed himself to get arrested to raise money for the Fuel Fund for the Elderly. He served on the Board of Directors for the J. Fletcher Rosser Breadbasket and worked tirelessly to help make the annual Breadbasket Barbeque fundraiser a success. One of the most important community events to him every year was the Community Easter Sunrise Service at Buffalo Cemetery airing live on both WFJA and WWGP. When Richard was not spending time in Sanford, he was at the beach. One of his favorite places to be was at his beach house in Oak Island, NC with his feet in the sand and his family by his side. Out on the water is where he always felt the most at home. Services will be held at St. Luke United Methodist Church in Sanford at 3:00 PM on Sunday, November 29, 2015 with visitation beginning at 1:30 PM in the church parlor. Committal will follow the service at Buffalo Cemetery on Carthage Street in Sanford. In lieu of flowers, memorial contributions can be made to the Central Carolina Community College Foundation: 1105 Kelly Drive Sanford, NC 27330 with a memo to earmark the funds to the CCCC Emergency Services Training Center. Richard Feindel always held first responders in the highest regard. So sad to loose such a productive and giving member of our class. I remember him at Ebenezer Avenue School in the 50's. He brought his radio to school and Mrs. Smith allowed us to listen to the Yankees and Los Angeles Dodgers. He also brought Mr. Potato Head and other games for us to play on rainy days. I will always remember these sweet things about him. Great guy.